The Pennsylvania State University and pursued graduate work in Instructional Media at West Chester University. In 2001, she was recognized by Penn State for her contributions in the field of education. She began her teaching career in a local elementary school and, while raising her two children, opened a private, licensed preschool. After 25 years, she retired from teaching and donated the entire contents of her school to URBANPROMISE in Wilmington, Delaware. 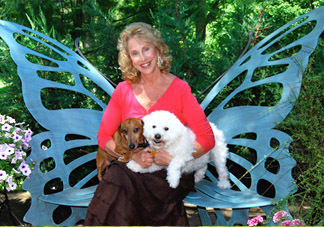 Gayle divides her time between West Chester, Pennsylvania and Key West, Florida with her two dogs, Mozart and Poco.